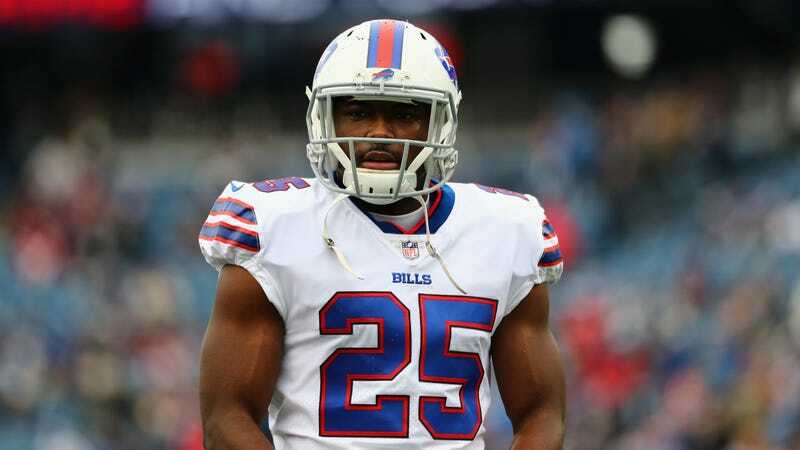 A month after Delicia Cordon, the ex-girlfriend of Buffalo Bills running back LeSean McCoy, said that a man broke into her house, beat her, and stole jewelry given to her by McCoy, Cordon has filed a lawsuit against McCoy and his “best friend/personal assistant,” Tamarcus Porter. The lawsuit accuses McCoy, who owned the house, and Porter, who sometimes stayed in a bedroom there, of creating a dangerous environment in the house by changing the security system without giving Cordon access to it. McCoy’s behavior became erratic during the offseason after the 2016 NFL season. He would exhibit rage and often brutally beat his dog in the presence of the Plaintiff and her friends. McCoy did not care who was present. When Plaintiff expressed concern about McCoy beating his dog, he would turn his anger against the Plaintiff. McCoy is the father to a young son who visited the Residence during the offseason after the 2016 NFL season. McCoy would aggressively, physically discipline and beat his young son over minor mistakes that all young children make. When Plaintiff questioned McCoy about beating his son, he would yell and scream at Plaintiff for commenting on how he should raise his son. Plaintiff disagreed with how McCoy physically disciplined his son, but McCoy gradually changed his behavior and disciplinary tactics regarding his son as he was approaching court proceedings with his son’s mother. The complaint for damages says that McCoy and Porter were attempting to evict Cordon at the time of the attack, and Cordon told a 911 dispatcher that she believed McCoy was behind it. USA Today reported that messages left for comment with McCoy’s lawyer, the Bills, and the NFL weren’t returned.